It’s tax time again, and you want to keep every possible dollar in your pocket when you file your returns. Fortunately, you might have overlooked a few hidden tax deductions that can make tax time a little less stressful, and leave more money in your pocket. This year, make sure you take advantage of these deduction options. Get a receipt for cash or in-kind donations. Only donate to organizations that have documents from the IRS proving that they’re legitimate charities. Deduct the value of any gift you received for your deduction, such as a branded pen or coffee mug. Only claim donations made in the calendar year for this tax return. Keep in mind that you can’t deduct certain things, such as the value of the time you spent volunteering at a soup kitchen or other charities. The IRS will only accept in-kind or cash donations to legitimate organizations. However, you can deduct mileage if you travel to a volunteer job, as long as the beneficiary is a qualifying charitable organization. Keep a file with all of your receipts so you’re ready to record them as you get your taxes together. That way, you don’t have to sift through piles of paperwork to find the documents you need. Relocating for a job? Deduct those expenses. The IRS also allows you to deduct certain expenses related to your employment, whether you’re a part-time employee, full-time employee, or independent contractor. 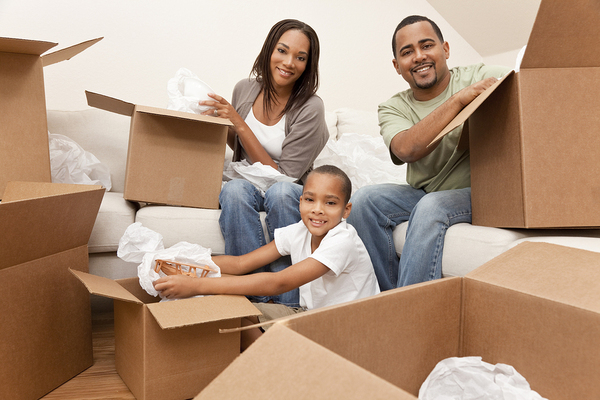 For instance, if your employer requires you to move to a different state, you can often deduct your moving expenses. This could include fees related to hiring a moving company, buying shipping materials, the cost of gasoline from your old home to your new one, and the cost of a hotel or other temporary housing until your new home becomes ready. Other job-related expenses that you can potentially deduct include mileage when traveling for work and any out-of-pocket costs you’ve incurred. Just remember that you can’t get paid twice. If your employer reimburses you for expenses, you can’t deduct them on your taxes. 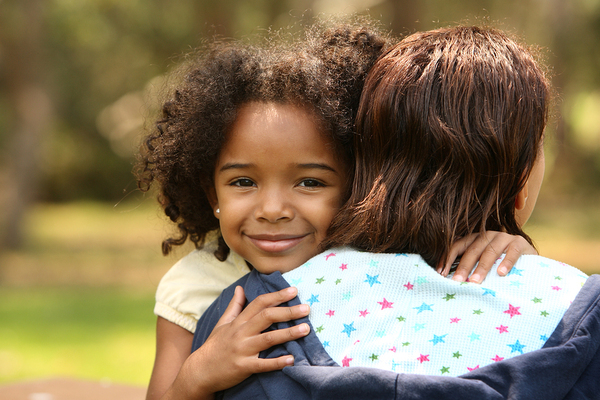 Don’t shoulder child care expenses alone. Did you know that your daycare expenses may give you a credit on your taxes? A credit is different from a deduction — it comes right off the top of what you owe instead of reducing your taxable income. Check with the IRS to find out the credit size for the given year. Currently, you can deduct between 15 and 25 percent of your total child care-related expenses. You might also want to consider that this tax credit covers dependents other than children, as well. For instance, if your adult child with a disability needs supervision, you can deduct those expenses. The same goes for elderly dependents who can’t live autonomously. The earned income tax credit, or EITC, often goes unclaimed. However, if you classify financially as low to moderate household income, you might be able to take advantage of this credit to get a larger refund. It’s designed to help struggling families reduce their tax bills. If you’ve lost a job in the past year, taken a pay cut, or suffered another hardship, you might qualify for the EITC without even knowing it. Best of all, if you know that you qualified before, but didn’t know about the EITC, you can retroactively claim the credit for as many as three years. Doing your civic duty might feel good, but the pay typically won’t make you jump for joy. Some well-intentioned employers don’t dock their workers’ salaries when they have jury duty, but they reclaim the money the worker earned while serving on a jury. This is problematic because you’ll have to report your jury income to the IRS. To avoid this issue, you can deduct the amount you paid back to your employer on your taxes. Did you buy a car this year? Refinance your home? Large purchases come with hefty tax bills, and if you live in a state that doesn’t charge a state income tax, you can often deduct sales tax for major purchases from your returns. It’s not just for big-ticket items, either. Keep all your receipts throughout the year and add up the sales tax you paid throughout those 12 months. You might find that a few dollars here and there add up rather quickly. No, you can’t claim a tax deduction if you accidentally flush your engagement ring down the toilet. However, if you lose property because of vandalism, theft, or acts of nature, you can deduct related expenses from your taxes. For instance, let’s say your car gets flooded out during a freak rain storm. You might be able to deduct the total loss of the car from your tax return. The same goes for hail damage on your roof or property theft during a home invasion. A severe injury or illness can easily drain your savings. Fortunately, Uncle Sam can take some of that weight off your shoulders. You can deduct medical equipment costs to help increase your refund or reduce what you owe. Medical equipment costs can also include rental fees. For instance, you might lease a wheelchair, crutches, medical bed, or other items from a retail establishment. Calculate the total cost of the rental so you can deduct it. In fact, you can even deduct part of the cost of installing a swimming pool in your yard if you need it for medical purposes. If you kept your New Year’s resolution last year to drop the cigarette habit, you might get reimbursed by Uncle Sam. The IRS lets consumers deduct expenses related to smoking cessation, such as the patch, gum, or oral medication. You worked hard to make yourself healthier, so don’t hesitate to take advantage of this deduction. More people work from home now than ever before. While it might seem like a luxury, it also comes with a few costs. You have to pay utilities, rent or a mortgage, and other expenses to keep your home office running smoothly. Maybe you just bought a new computer for work, or perhaps you have internet access in your home office. The IRS has stringent rules for deducting only the portion of expenses used exclusively for business, though, so tread lightly. Your Refund’s Coming — Now What? Every year, people begin checking their mail more closely as the IRS starts sending out refund checks. If you want to get the maximum benefit from your refund, you might want to skip the mail altogether. Instead, deposit your tax refund on a prepaid debit card. These cards give you faster access to your money. There’s no waiting around for your tax refund check and visiting a local bank to cash or deposit it, and you won’t have to worry about someone stealing your cash from your mailbox. If you work with reputable prepaid debit card provider like Green Dot, you may even qualify for a cash advance on your tax refund of up to $1,000. Checks take too long to arrive and process, and prepaid debit cards make it easy to keep your money straight. To find out just how much you can gain from prepaid debit cards, get a card now and take some of the hassle out of tax time.